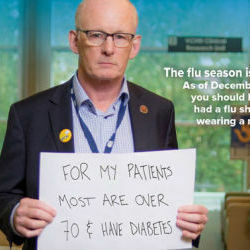 Information and resources to help you with the health promotion side of patient care, with a focus on vaccine-preventable illnesses. Communicable disease control and immunization tools for health professionals. 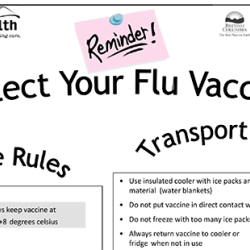 Online courses for vaccinators, offered by the BC Centre for Disease Control. You will need access to MyVCH to view the bulletins. Pneumonia (pneumococcal polysaccharide) vaccine is recommended and publicly funded for some people. Contains the latest practice-related information for general practitioners and nurse practitioners across the Vancouver health region. Possible exposure Sept. 8-11 at Skookum Festival, Noodlebox Mount Pleasant, Outdoor Community Block Party, or public transit in Vancouver. Storage and handling rules, and recipes for packing. 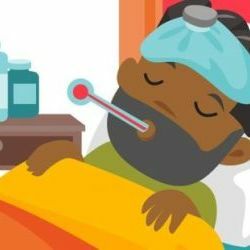 CDC study shows it also reduced the severity and duration of the flu. Information and key national and provincial immunization resources for health-care providers. Handy 1 page vaccine schedule for people 19 years+. Shared Health Organization Portal for policies and clinical resources. Includes BC health organisations PHSA, VCHA, and Providence Health. Washing and sanitizing your hands is one of the best ways to stay healthy. Tip sheet for administering adult subcutaneous and intramuscular injections. Desk reference: The A.S.K. 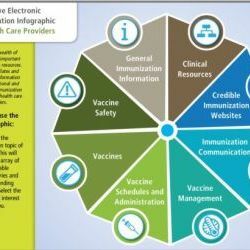 Approach for effective immunization communication.